Photographs can be described neither as neutral nor as objective. That is shown by the genre of architectural photography, which has increasingly become the focus of scientific interest over the last two decades. The reproduction of three-dimensional buildings on two-dimensional surfaces demands of any photographer a multiplicity of decisions, which he must take before he can press the shutter release of his camera. Standpoints must be chosen, perspectives gauged, picture details determined –factors that will later crucially influence how the observer of the photograph reacts to the building. The holdings of the Photothek of the Kunsthistorisches Institut in Florence offer a wealth of study materials for such reflections. 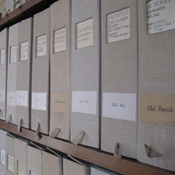 Ever since the foundation of the Institute in 1897, photographs especially relating to the history of Italian art and architecture have been collected and placed at the disposal of researchers for their academic work. 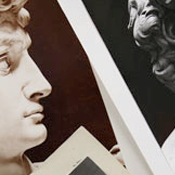 A selection of this huge variety of materials, of various provenance (purchases, donations, legacies and the Photothek’s own photographic campaigns), is illustrated in the present Online-Exhibition. 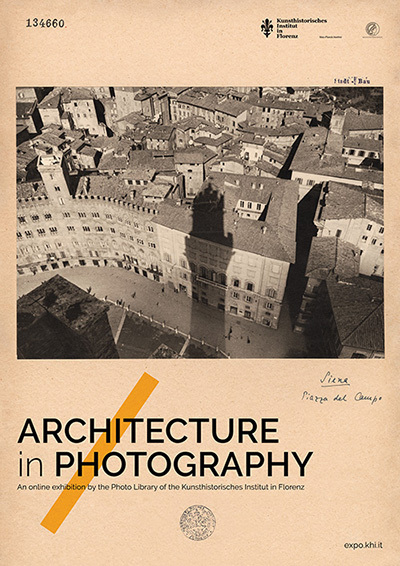 Its aim is to help explain a few selected problems of documentary photography at the service of architectural history.